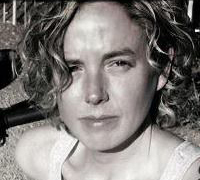 Elizabeth Earley holds a BA in Creative Writing and an MFA in Fiction from Antioch University Los Angeles. Her stories and essays have appeared in Time Out Magazine, The Chicago Reader, Geek Magazine, Outside Magazine, Gnome Magazine, and Hyper Text Magazine. Other fiction has appeared in The Windy City Times Literary Supplement, Hayden’s Ferry Review, The First Line Magazine, Story Week Reader, Fugue, and Hair Trigger. The Hair Trigger piece won the David Friedman Memorial Prize for the best story in that anthology. Elizabeth has twice been a finalist for the AWP New Journals Award, has received two pushcart nominations, and was a finalist for the 2011 Able Muse Write Prize for Fiction and for the Bakeless Literary Prize for Fiction. A novel excerpt, “Backbone”, won an Honorable Mention in the Glimmer Train March 2014 Fiction Open contest. Elizabeth’s book was a finalist for the 2014 Lambda Literary Award for debut fiction. Two years after the publication of A Map of Everything, Elizabeth acquired Jaded Ibis Press from Debra Di Blasi along with three co-owners: Lily Hoang, Natashia Deon, and Zoe Ruiz. Learn more about the team here.